Note: in this paper, the masculine designates both genders. In the workplace, some people in responsible positions sometimes act as if they were adepts of the theory that perfectionism is attainable. They actively pursue perfection in every task accomplished by themselves, and sometimes by everyone in their organization. Little or no consideration is given to their own or others’ personal circumstances, for example, their state of health or level of tiredness while accomplishing their duties at work. The latter are not ranked according to importance. Time and space are considered extendable so the work schedule generally overflows other considerations, such as the need for family life and leisure time. Perfectionist people drive themselves somewhat mercilessly, with the tendency to treat other workers or authority figures according to the same rules. They assume this attitude to be either of great importance to their work performance and efficiency or an inescapable part of their destiny. Unfortunately, perfectionism proves to be totally counterproductive for it takes no account of one’s own and others’ limits. Literally, perfectionists do not allow themselves breathing space. As time goes on, they inexorably approach the breaking point: for example, falling into depressive states popularly called “burn out” or “burn in.” The first term tries to describe the condition of people so exhausted they must leave work at once in order to regain a minimum amount of available energy. The second term, “burn in,” applies to people who are on the verge of exhaustion but continue working, barely managing to regain enough energy during minimal periods of rest. People driven by perfectionism, either self-imposed or coming from unrealistic demands by their managers, colleagues or clients, experience many symptoms associated with stress, ranging from physical disorders such as sleep or eating difficulties to depressive traits, severe anxiety and intense, aggressive feelings. All of this initiated by an excessive search for perfection, manifesting itself as over-responsibility, leads to cynicism and hostility. Often perfectionist people learn to keep these tendencies in check while at work but let them loose, to their own dismay, when they reach home. Then problems with their spouse, children or close friends tend to reach an intolerable level. Furthermore, the whole spectrum of perfectionist attitudes includes a tendency to avoid seeking personal help in the name of autonomy, for requesting help is deemed a sign of weakness. What brings a person to adopt perfectionism as an attitude? The answer is relatively complex. From testimonies of people who acknowledge this personality trait and seek to evolve towards a more productive and vitality-enhancing attitude, perfectionism seems to be acquired early in life through a variety of paths. When a child becomes aware of his talents, for example in gymnastics, he spontaneously “pushes the limits,” trying to accomplish more and more. If he lives with parents, teachers and other adults who support his endeavours but show him the danger of exceeding his capacities, he usually gets the message, often reinforced by a few painful failures. On the contrary, if he is constantly urged by parents and other authority figures to accomplish more, regardless of his limits and feelings, a message is imprinted that may last far into his adulthood: “work, work, work” so the message goes, ignoring activities devoted to simply cultivating friendships and personal creativity. Consequently, perfectionism is generally acquired under one’s own excessive expectations or under those of meaningful adult figures. Sometimes it comes from an unconscious desire to surpass a sibling, revealing a hidden fear of not being loved enough. To be “parentified” is another powerful source of perfectionism, of which the person concerned seldom becomes conscious without expert help. The term “parentified” refers to the experience usually begun in early childhood, of being expected by one’s own parent(s) to be and act as a parental figure. This is common with parents who have a personality defect, the most frequent of which are emotional deprivation, severe anxiety, anguish, autistic traits, depressive or other tendencies which fall under the categories of mental illness. Such parents often resort to alcohol and drugs, illicit or not, to alleviate their inner pain. The child senses the parent’s distress and spontaneously tries to help by being nice, serviceable, responsible, and “grown up”. But in such circumstances, a child or adolescent does not have the resources to provide effective help to his parent in trouble, and whether even an adult relative could do it is a moot question. In fact, the son or daughter’s efforts are doomed to fail, for no child can effectively be his parent’s parent. Furthermore, a child in that situation does not recognize the futility of his attempts; prodded by a compassion mixed with feelings of guilt, he tries harder, attributing to his personal shortcomings the inescapable observation that, despite everything he attempts, his parent continues to suffer. Primarily the perfectionist person needs to recognize the obsessive-compulsive nature of his attitude, acknowledging its difference from the healthy desire to accomplish by successfully meeting difficult challenges. Accomplishment usually requires concerted, realistic, persistent action, which in turn presupposes that the accomplisher takes great care of himself. Also, accomplishment is accompanied by pleasure and rewards which encourage to go on with the work. In a quite different direction, perfectionism imposes the impossible, a dead-end street that leads only to exhaustion. It obsessively imposes pain and “forbids” pleasure..
Once recognition of perfectionist tendencies has occurred, the second step is to make an honest assessment of one’s personal needs, including physical, emotional, cognitive, expressive, and relational. Then a question arises: taking these needs into account, how am I managing my workload and the rest of my life? Another way of dealing with the issue is to consider oneself as a source of renewable energy. In that light, it is important to evaluate the relationship between output in the form of energy spent for work purposes and input in terms of energy renewal: do I get enough energy from sources that help me replenish my resources, that is, from rest, recreation (literally re-creation), fulfilling emotional relationships and creativity? From a different angle, let us now consider the case of a person exposed to perfectionism from people who exert authority. Perfectionism, in this case, tends to be an unwritten rule that subordinates will be expected to follow. In such circumstances, the following question arises: does my manager’s perfectionism reinforce my own? If so, the first task is to re-adjust one’s personal attitude, but the pressure coming from above will still be there. To counter this pressure, the recourse is two pronged: -one needs to find ways and means that will bring awareness to these authorities of their unrealistic work demands, -and to propose alternative work goals and processes. If this does not work, a worker, fully conscious of the pitfalls of perfectionism, may resort to self-protective measures within his area of jurisdiction. Here one thinks of the silent redefinition of task, timetables, budgets, goals and processes, while waiting for reality to reveal itself to managers afflicted by a perfectionist attitude. This verges on advocating “civil disobedience,” but in many cases such resistance protects both the workers and the organization against the harmful effects of managerial perfectionism. 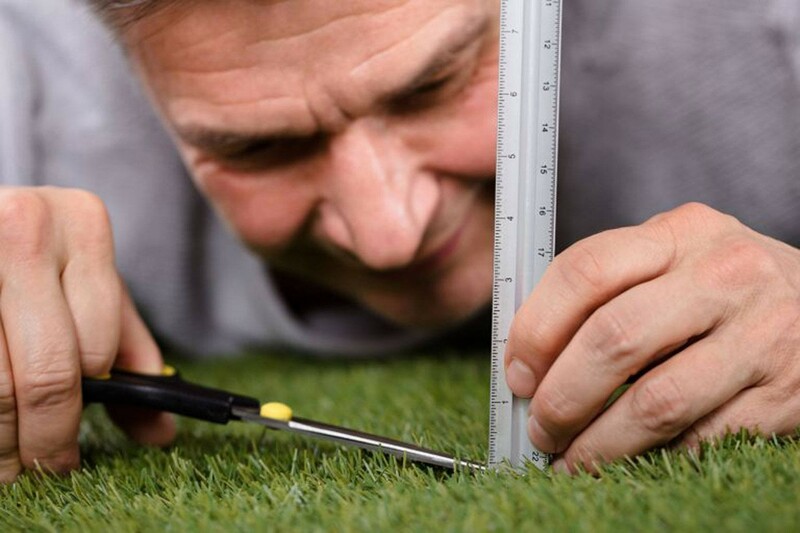 In sum, perfectionism is not an unsolvable personality or group disorder. It is a vulnerability factor that produces problems for workers and managers alike, impinging negatively on the dynamics of a workplace. If it comes from higher management, it can affect a whole organization. Its major danger lies in its insidious character: most people affected by it are unaware of its deleterious influence. It can drive individuals and work groups to the brink of exhaustion, bringing about physical and psychological health problems, along with their sequels of a loss of interest in the work processes, personnel turnover, and absenteeism. Quick recognition of its negative influence will invite its replacement with an attitude and behaviour comprised of a dual winning force: a strong orientation to goal attainment reinforced by constant support of workers.